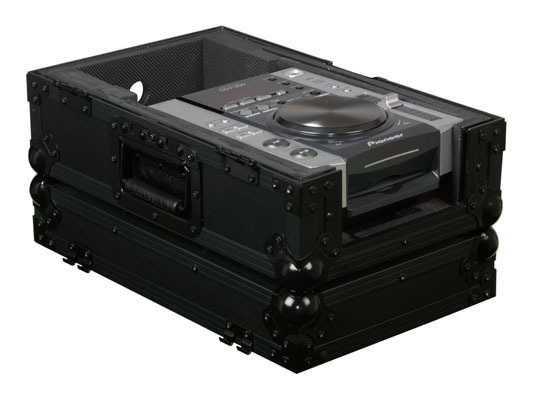 Odyssey FZCDIBL Case for a Medium format CD player Black Label DJParts - All Variety of Parts that DJ Needs. Description: FZCDIBL: Case for a Medium format CD player. 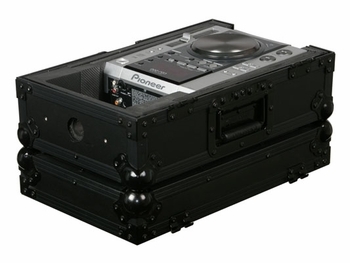 New for 2009 is Odyssey's Black Label Series of ATA flight cases. Made to the exact same standards as our Flight Zone series but with a twist. Each compartment feature a valley or pit as you might call it that allows for more ventilation of the gear as well as an area for cables management.The components used to produce this series, including the aluminum trim and hardware, is now anodized and/or powder coated in "Black" for a one of a kind look that is so slick looking it's beyon cool.